Light the Christ Candle. Light only three of the six purple candles. 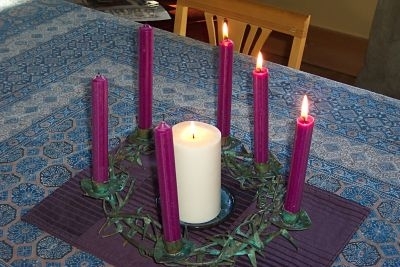 Question: Why do we light only three purple candles? This entry was posted in Christian Season of Holy Week. Bookmark the permalink.